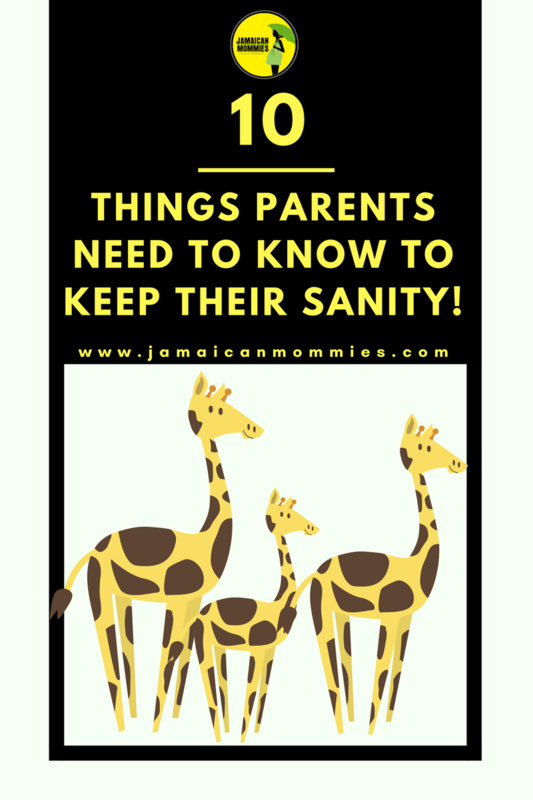 Jamaican Mommies contributed to Flair’s Mommy Corner recently and a modified version of this post appeared in the Gleaner’s Flair Magazine Mommy corner with the title 10 things parents should know. We’ve posted the extended version here for your benefit. In this information age, it’s easy to be bombarded by countless tips and tricks everywhere about what you should or shouldn’t know as a parent. Have any doubts? Do a random web search and you will discover way more than you will ever need. But before you start feeling overwhelmed or driven to insanity, rest assured many other parents share these feelings too. As a new mom I was often bombarded with way too much information, way too many voices, too varied opinions on what to do and what not to do. More so, years later even as I try to balance career and family, parenting continues to be daunting as I strive to be what so many of the parenting advice outlets say one should be. On this quest, I am continuously left with endless questions about whether I have been doing it right, but in the end, having researched several parenting topics over the past five years for JamaicanMommies.com and interacting with several moms about their parenting highlights, I have discovered several tips and will share the ones most likely to help you keep your sanity. 1. There is no universal perfection: You’ve probably heard before that every child is different and so is every parent-child relationship. In aiming to be the best you can be, go with your guts, trust your motherly instincts and use your child’s well-being and happiness as your guide. The only near perfection then are a satisfied mommy and a truly happy child. 2. Nothing beats quality time: It is understandable that you may feel like you are just not doing enough as a parent, but it is never a suitable alternative to replace quality time with quantity. In your child or children’s world, your presence greatly trumps the many presents. So even while you may want to gift them with occasional treats, do not make it a substitute for the time they crave with you. As a guiding principle, remember PRESENCE over PRESENTS. 3. It is ok to feel overwhelmed but never okay to remain depressed: Just about every parent has had a day when it all seemed too much, when they want just a 10-minute breather to calm the screaming voices; when a room once beautified gets wrecked in minutes or when a very strong-willed toddler refuses a bath or meal time or a teenager refuses to calmly accept a parental reprimand. That is normal; we all have those “wont this day just end” kind of days. What is not okay is continuous or extended feelings of sadness and despair. Depression is real and so are the effects. So if you are in any way at that stage, seek immediate medical attention. 4. Children NEED their parents: If there ever was a “duhh” point in the universal parenting manual, this would be it. Yet, this need extends well beyond the cuddly cushy phase and keeps going for as long as your child(ren) exist. 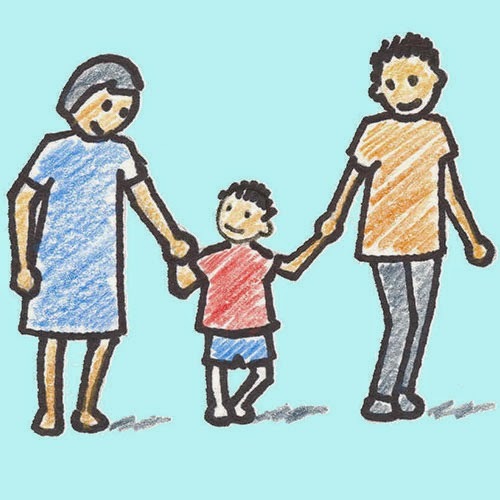 Even when it seems like they don’t need you, do remember the parental journey is a lifelong commitment that has to be treated with all the seriousness in the world. Think of it as your legal vow to care and protect for another human being for the rest of your life. Now that’s deep. 5. You are a role model and it is not a choice: As Joyce Maynard noted “As much as we watch to see what our children do with their lives, they are watching us to see what we do with ours”. It will never be easy to fashion your life to be as close to perfection, but in your child(ren’s) eyes you are initially the benchmark on just about all things important. Though it may not seem so at the moment, many years later (my mother can attest) children have a tendency to somehow become their parents. When that has sunk in, think on your least desirable trait and ask yourself if you’d want your child to replicate same. 7. Parents need children as much as they need you: Have you ever had the most mind numbing, physically draining day brightened with a little hug, a scraggly card or having your teenager simply say “Dinner was great thanks”? If you have, you know exactly what this means. As one single parent once shared “My kids are my greatest joy. Often they look to me to meet all their needs and little do they know how much happiness and deep seated reward I get from the smallest but most impactful things that they do”. 8. Routines are eternally important: You may have kept this reminder at the forefront when they were toddlers, but as they get older, the routines fall by the way and with it lots of the order and predictable security that have been created. Indeed routines are useful for babies, toddlers, adolescents and every member of the family. Some routines help you get through the things that need to be done each day, while building time management skills and can also build your family bonds. The key is to determine what routines work well for your family in a family friendly and non-restrictive way. 9. Don’t overschedule: In our quest to set a road map for success, moms can sometimes get carried away with all the very many things we want our children to be involved in. As with all things, moderation is key and in the same way that limited to no activities have their downside, too many activities can also have seriously negative effects. 10. Social media can wait: This is specifically for our social media-obsessed and almost- obsessed mamas. It is way easy to spend a little too much to way too much time online to the detriment of a relationship with our children. If your social media activity leaves stories unread, homework undone, family play ignored, then you need an intervention. So let’s aim to break this pattern with less action on our timelines and more actions on our lifelines. Make a simple start by Breaking the Social Media Curse for Better parenting. In the end, parenting can be the perfect mix of just enough downtimes and loads of beautiful, meaningful, rewarding times. Starting with the belief that you can do a good job, sprinkled with layers of optimism, every mom should remember that it is okay to cry and okay to think you are not getting it done perfectly. Yet if you really, truly #JustTry and have an unselfish will to succeed, we will be well on our way to successful parenting. What are some other tips you use as a parent to keep your sanity, Share with us below. Great advice! You clearly have your priorities straight! I will take this advice and use it! Thx!